Reminiscent of Humphrey Bogart's character Rick Blaine from the classic movie Casablanca, Rocky Jordan relocated to Cairo after being ousted from St. Louis by his enemies. Now living in North Africa, Rocky Jordan owns and operates a gin joint, the Café Tambourine, and finds himself involved in an assortment of mystery and intrigue endeavors while unwillingly moonlighting as a crime fighter. Cairo police chief Sam Sabaaya is an Egyptian Muslim who strictly adheres to the law. When a crime is committed, Jordan is often the prime suspect, which forces Jordan to solve the crime so he can clear his name and save his neck. 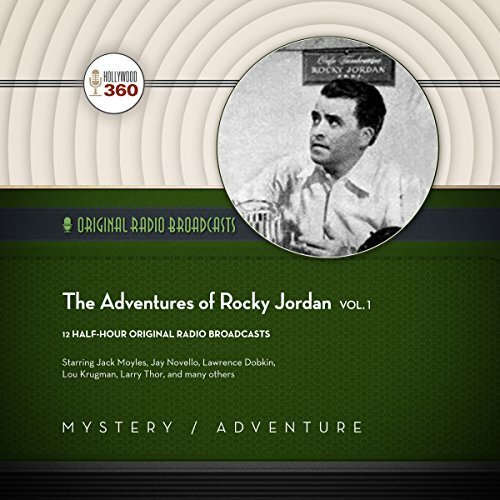 The show was first heard in 1945, with Jack Moyles starring as Rocky Jordan. The show's writers, Larry Roman and Gomer Cool, strove to create an authentic North African feel to the show by featuring Middle Eastern theme music by Richard Aurandt and using actual street names from Cairo. Episodes included are "Up in Flames", "Red Stands for Blood", "The St. Louis Blues", "Consignment for Naples", "Lady in Disguise", "The Race", "The Coward of Mutakhan", "Barlache", "Gold Fever", "Cairo Vendetta", "The Gum Queen", and "A Stranger to the Desert".